Rev. 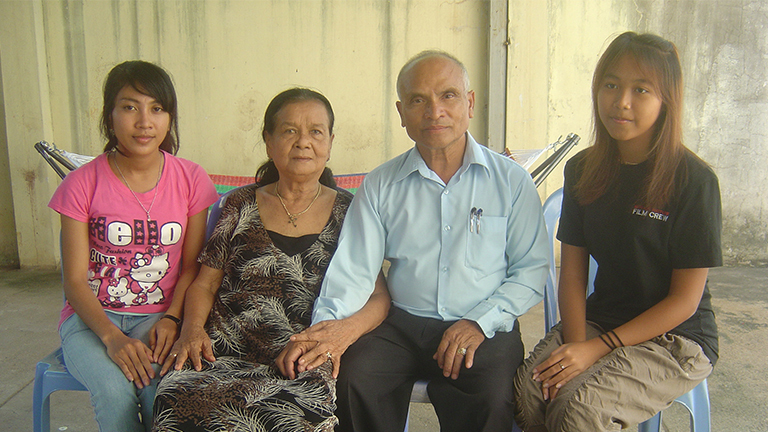 Timothy and Yun Ith have devoted their lives to serving the Lord in Cambodia. Timothy works closely with the Phnom Penh Bible School, a seminary located in the capital city of Cambodia. Phnom Penh Bible School provides Christian training for the next generation of men and women who will minister to their Cambodian neighbors. Timothy and Yun also oversee church-planting efforts all over Cambodia. Currently they are planting 29 churches in 11 of the country’s 24 provinces, and their vision is to plant churches along the borders of neighboring countries. Church planters are also involved in several micro-enterprise projects such as rice cultivation, fish hatcheries, cow banks and other agricultural products to bring much-needed income to the church body. Timothy also pastors a church of 100 people that meets in the Ith’s backyard. Timothy and Yun have two daughters: Pisey and Sarah.